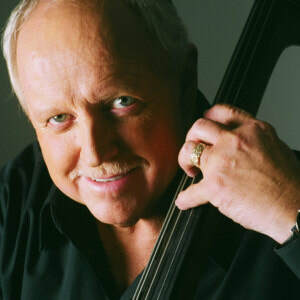 A sought-after jazz musician and clinician, bass player JIM WIDNER enjoyed a storied career on stage with the likes of Stan Kenton, Woody Herman and the Glenn Miller Orchestra directed by Buddy DeFranco before he pursued his true passion – jazz education. Performance and education intertwined early in Widner’s career. A graduate of the University of Missouri, Widner holds an MA from the University of Memphis and went on to do postgraduate work at the University of North Texas. But arguably the most influential moment of his education was in 1963, when he attended a Stan Kenton Jazz Camp as a student. Widner went on to be an integral part of the Kenton organization, rising through the ranks, and eventually becoming its summer camp manager. The Kenton program became the template from which he launched his own series of summer jazz camps – annual educational programs that celebrated a 30th anniversary in 2017. Today, as Professor and Director of Jazz Studies at the University of Missouri-St. Louis (UMSL), Widner oversees a program that not only hones his student’s talents but also provides unmatched performance opportunities. Among them is the annual UMSL Greater St. Louis Jazz Festival, a three-day event Widner launched in 2004. The festival brings internationally recognized professional jazz musicians to the UMSL campus to conduct workshops and clinics for hundreds of high school and college big bands and combos. The festival culminates as the UMSL Jazz Ensemble, directed by Widner, which opens headline concerts for the big names as they perform for the public. Among other outstanding achievements under Widner’s direction, in 2017 the UMSL Jazz Ensemble was invited to perform at the prestigious International Midwest Band Clinic, the annual Jazz Education Network Conference and the Missouri Music Educators Association event – a rare “triple crown” of conference appearances. All the while, Widner has earned an impressive set of personal accolades. In 1999, students at the University of Missouri-Columbia renamed the music wing of the fine arts residential college, “Widner House,” in his honor. In April 2006, The Statesmen of Jazz conferred upon him the title of “Statesman” in recognition of a “brilliant career of creative musical achievements in performance and education.” In March 2008, Widner was featured in the cover story of JazzEd magazine. Downbeat magazine gave him a Lifetime Achievement Award for his work in jazz education in 2009. The 2014 feature film Whiplash, the story of a promising jazz musician, features an arrangement of the classic tune “Caravan” as commissioned and recorded by the Jim Widner Big Band. He is a founding member of the Jazz Education Network and was named the 2018 Outstanding Jazz Educator by the Missouri Association for Jazz Education. Most recently, Widner was recognized as the 2018 St. Louis Jazz Hero by the Jazz Journalists Association. Widner is a Yamaha and D'Addario performing artist.